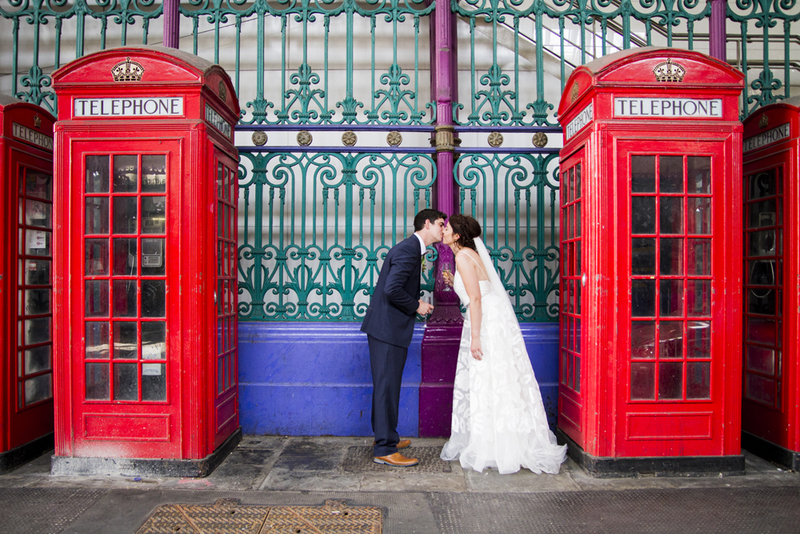 Inspired by her nan's tales of fun filled, old school East End weddings, gorgeous bride Clare wanted a traditional ceremony followed by a laid back London celebration and we think she succeeded spectacularly as these images by Jennifer Langridge, Magpie-Eye Photography show. 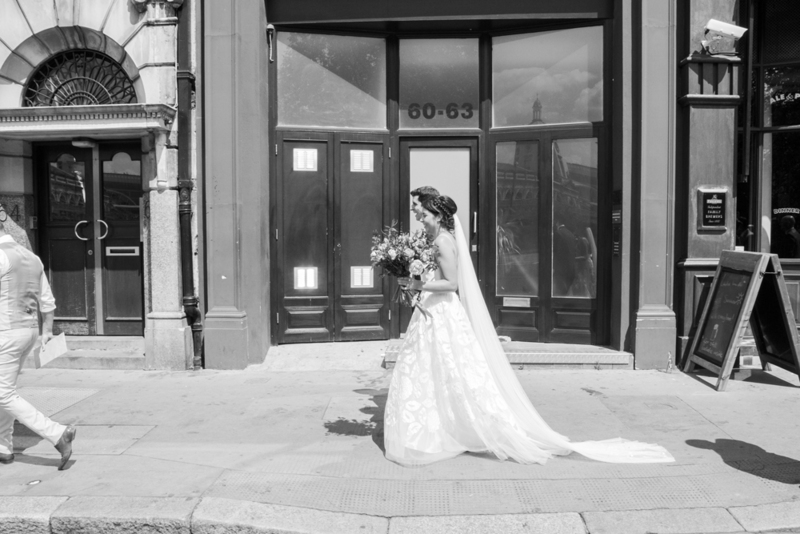 Clare chose our Susie appliquéd tulle skirt and Iris slip and it was the perfect wedding dress for her. "My experience [at Halfpenny London] was amazing, so personal and I felt very lucky. Halfpenny London was the first dress shop I visited and the dress I wore was the first I tried on. I knew it was my dream dress as soon as I saw myself in it, it completely won me over from the start and it made me feel so amazing on our day." Clare's kept her accessories simple with a gold bracelet her grandparents gave her when she turned 21 and an Alex Monroe elephant necklace that was a sweet, heartfelt gift from the groom the morning of the wedding to remind her of their travels around South East Asia. Divine! Congratulations to the newlyweds and we wish you every happiness in your new lives together.